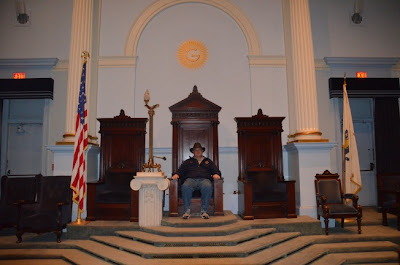 I began my Masonic journey in Boston along the Freedom Trail at the Grand Lodge of Massachusetts. 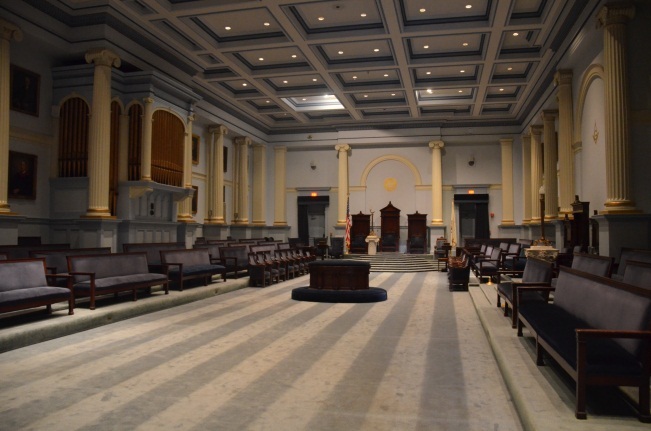 Being the birthplace of organized Freemasonry in America, it was no surprise that an elegant and historic building would be home to the Grand Lodge of Massachusetts. 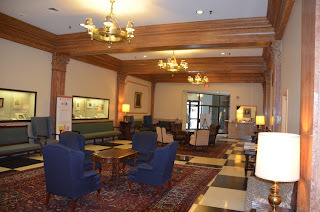 We were greeted warmly when we came into the building and I was offered a tour right away, which was a pleasant surprise. The entire building is occupied by Masonic bodies, including Grand Lodge offices, Blue Lodges, Scottish Rite and York Rite. 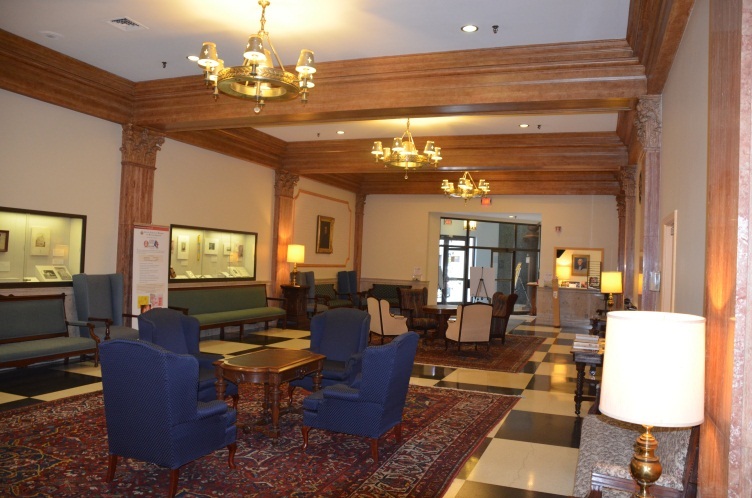 Entering the first floor, you will find a welcoming lobby with several displays telling the story of Massachusetts Freemasonry. Our tour guide was an older brother who was a Past Master of one the lodges meeting in the building. 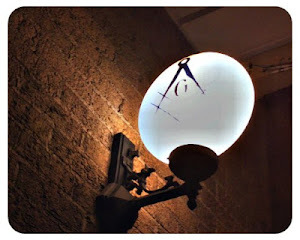 He knew a great deal about the building’s history and was able to give us a great deal of information. 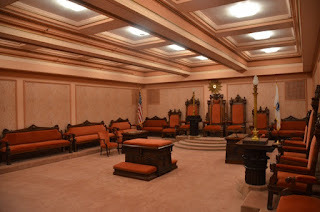 On the second floor, we visited a lodge room the Egyptian Hall that was as its name suggests a themed room. 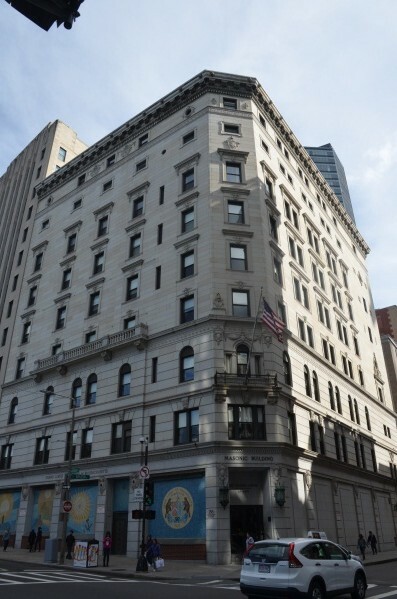 The Grand Lodge offices and Samuel Crocker Lawrence Library were also on this level. The third floor contains the executive office of the Grand Master and the spectacular Corinthian Hall. Outside of Corinthian is a replica of the bunch of grapes that hung outside the door of the Bunch of Grapes Tavern in Boston. 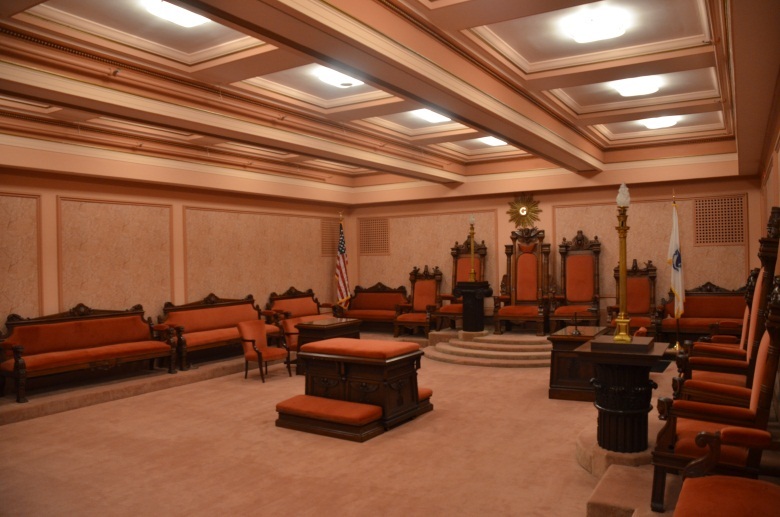 This was the place that the first grand lodge was organized by Henry Price. Corinthian Hall features many symbolic items, including a starry decked heaven (ceiling), a statue in each corner that represent Faith, Hope, Charity and Wisdom. These were sculpted by M. Sala of Boston. Each statue has a painting above it; Faith – George Washington, Hope – Joseph Warren, Charity - Marquis de LaFayette and Wisdom - Benjamin Franklin. On the walls are numerous paintings of Past Grand Masters and an ornate organ on the north wall. 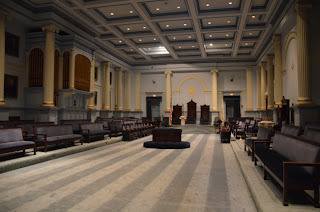 In the next installment, we will continue our visit to the Grand Lodge of Massachusetts and visit the upper floors, including Tuscan Hall, Doric Hall and a Chamber of reflection.